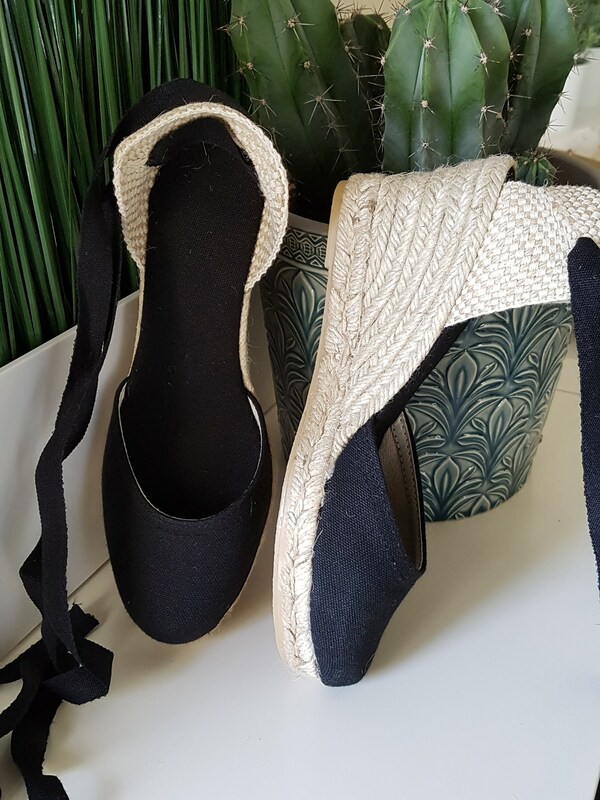 Lace up, rope sole espadrille wedges (7cm heels = 2.76 inches) in NAVY BLUE. Antislippery soles covered with rubber. Very comfy, the best for dancing in your wedding day!